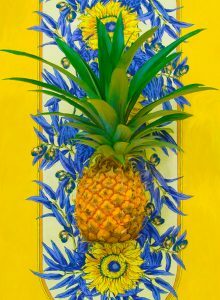 The new exhibit by Bill Luchsinger and Karen Strohbeen is as full as a luxuriant bouquet—varied, stunning, whimsical, and innovative as ever. 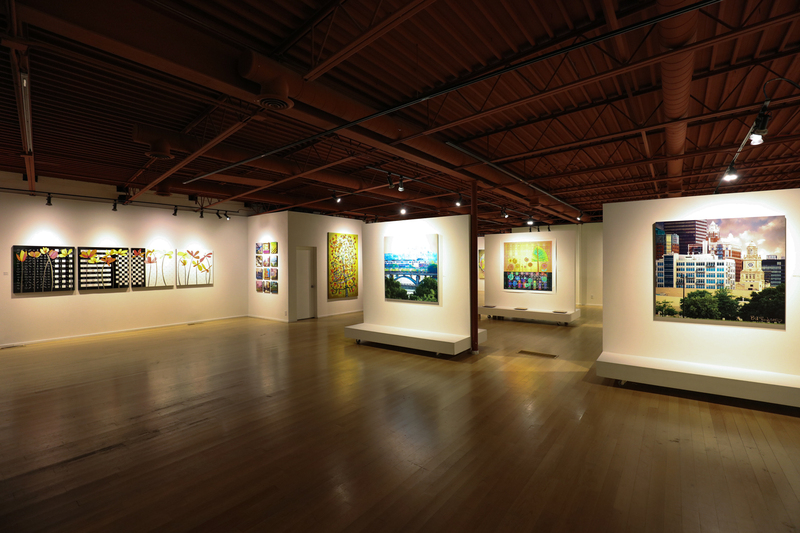 Also on display are works by Andrew Clarridge, Tom Moberg, and Jay Vigon. This show of digital images on multiple substrates offers art as geography—these works are intimate studies of various natural phenomena and environments. Luchsinger and Strohbeen are prolific, and thus are able to produce, image by digital image, a whole world for its viewers, representing the bucolic and the urban. They cover multiple genres, each subject succulent. Their works unfold together, harmoniously co-existing and transforming, creating liminal regions. 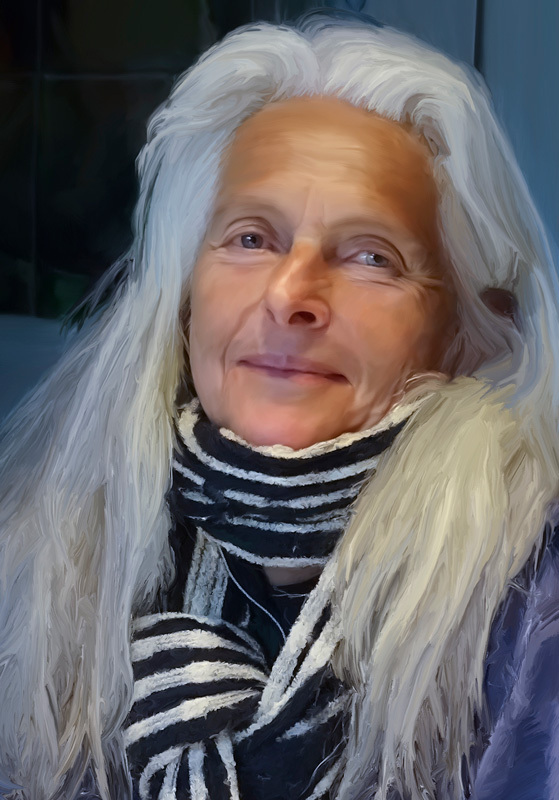 The human subject is up close, and truly personal in Luchsinger’s “Black and White Scarf,” a portrait of Strohbeen, which captures the topography of a face, but also the fibers of the scarf she wears and the gray and white color of the strands of her long hair. The light on Strohbeen’s face creates a swath of shadows and highlights, echoing the striping of her scarf. 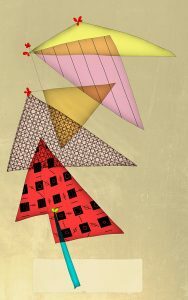 Strohbeen’s abstract works are playful but stem from a very specific visual grammar, which touches on the mathematical. Take “Forest Structure,” for instance, which can almost be read as alphabetic characters—though those with only right angles. Yet they are not that pristine or perpendicular. Her imperfect branches tangle and form a puzzle of stratum. 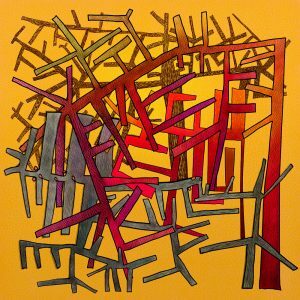 Its golden yellow background offers a necessary flatness for the dimensional intimation of the branches, each with distinct patterning of lines and dots to create multiple grains and surfaces. It is a jungle gym of potentially grafted or inosculated parts. 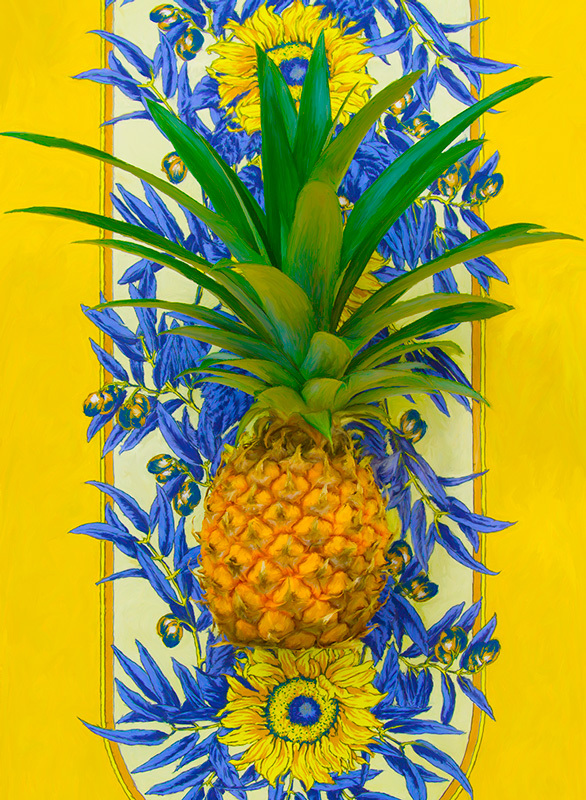 Strohbeen’s “Pineapple” offers indigo, yellows, and greens—a ripe image of the tropical fruit, which seems to exist three-dimensionally in front of a backdrop of sunflowers and plums or olives—a design reminiscent of wallpaper. 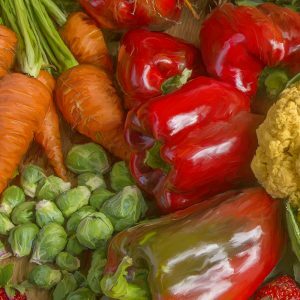 This composition also speaks to the history and other uses of this “excellent fruit,” the leaves of which are still used to produce fiber for apparel, furniture, and wall coverings. A spare geometric study of triangles, Strohbeen’s “Balance,” uses negative space as a blanket on which, from an aerial perspective, these shapes rest, overlapping each other. From a vertical perspective, these multi-colored and differently-patterned triangles are placed touching and atop the next, suggesting growth. From squares and circles, slashed zeroes to diagonal lines, though Strohbeen’s signature stem/leaf/blooms are here—in miniature and very sparingly—the organic element gives way to more flight-like—kite-like—shapes. 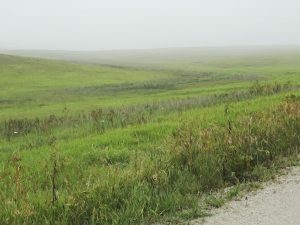 Luchsinger’s “Green Meadow” is beautifully exact in its green, its brown, its blades, soil, and gravel. His atmosphere, even, captures a foggy morning horizon. Without extreme counterpoint, aside from the clear foreground and misty background, this piece still exudes—and perhaps more intensely for the lack of complex composition—the sense of looking out onto a meadow, holding a peaceful moment in your eye. A voluptuous still life, Luchsinger’s “Red Peppers” contains root and cruciferous vegetables, and aggregate fruit. The digital brush strokes of the cauliflower head become a landscape unto themselves. The titular peppers—the reddest moments in the composition—offer a shiny skin, giving the most highlights and therefore making the eye draw its own constellation lines from each of the five peppers, assisting in this particular space exploration, with its bursting cornucopian matter. 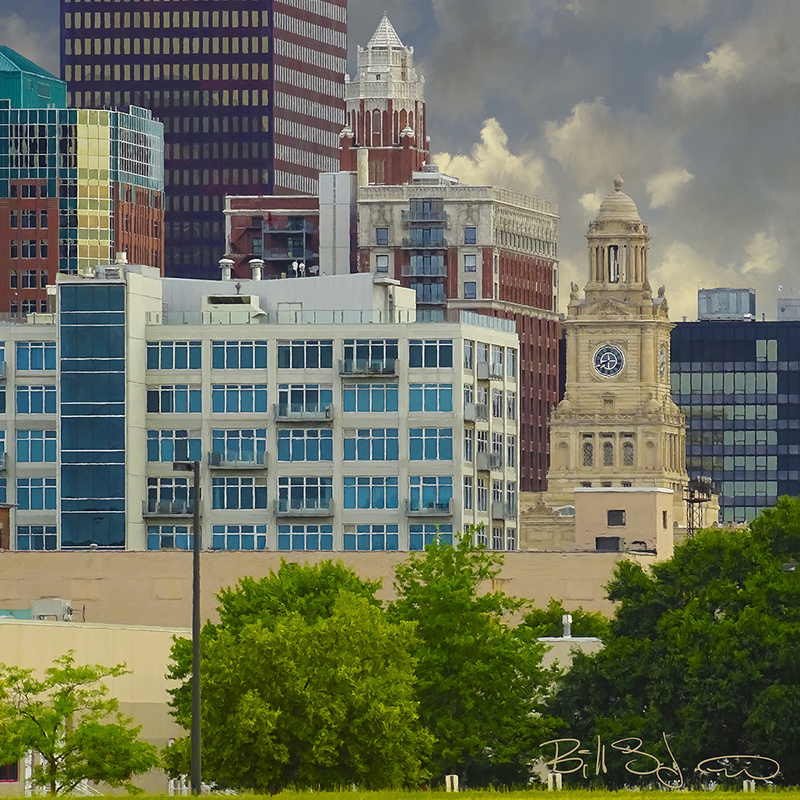 In contrast to this domestic display, Luchsinger’s “From the Raccoon” depicts the Des Moines downtown skyline, a northern exposure from the river. Its aluminum substrate adds an architectural element to the piece, which is a concentrated detail, replete with walls of windows of many of the city’s key buildings—including the Ruan Center, Hub Tower, and the Polk Co. Courthouse—which aim to scrape this cloud-covered sky. A small grove of trees lines the lower part of the work, but it is the face of the court house clock to which the eye is most attracted, even if it is not to tell time. It asks the viewer to be in time –and place. In addition to the stellar graphic design work Jay Vigon creates, he’s also a fine artist, who produces remarkable digital illustrations. 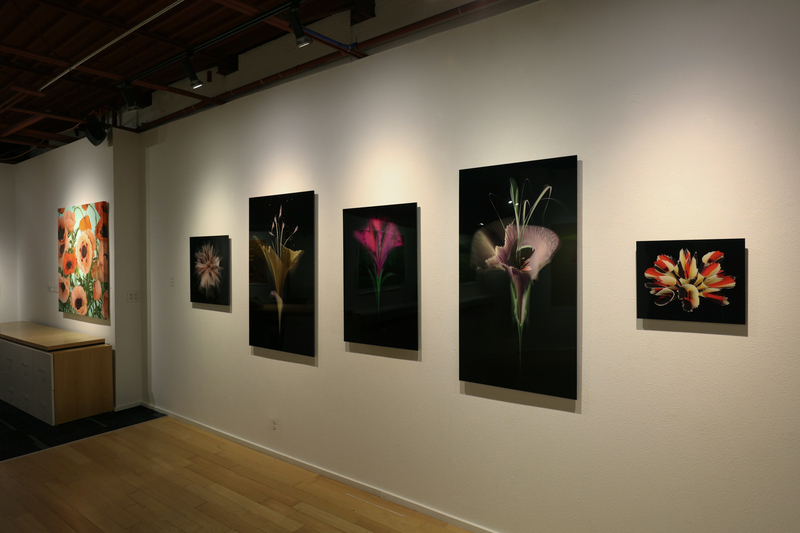 Exhibited here are five pieces from his Flora Project. Stark and studied, each work has for its subject matter one central image. The poetry of these digital florae is that they seem to want to grow right out of their two-dimensional confines— abstractions worked into representational forms, each subject hovering like a cut flower in space. 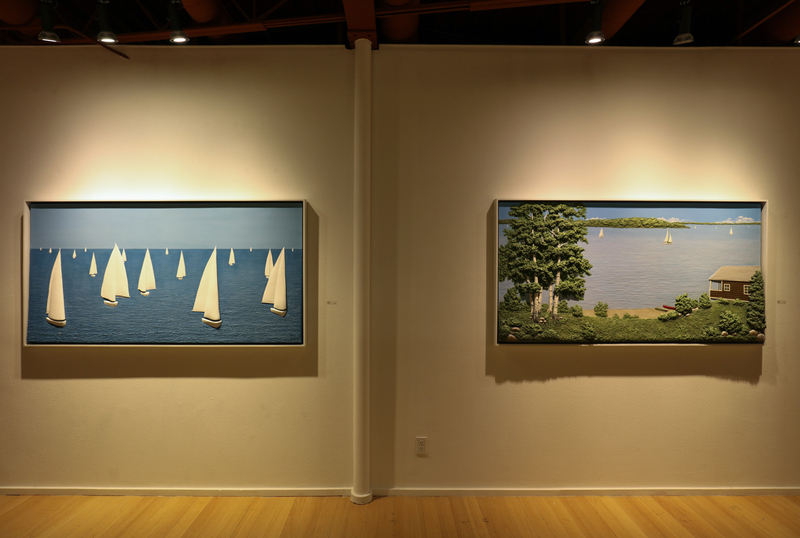 Tom Moberg’s relief sculptures, “Lake View” and “White Sails,” present the viewer with the element of water. These works actively remind us of the placement of someone who sees—be it as witness, gazer, or mere onlooker—that to be in front of, taking in, is always to be at an edge. These relief sculptures, in gypsum, offer the dimensionality and texture that create a literal and sensorial closeness to the works. With their open bodies of water and repetition, these images serve to calm. 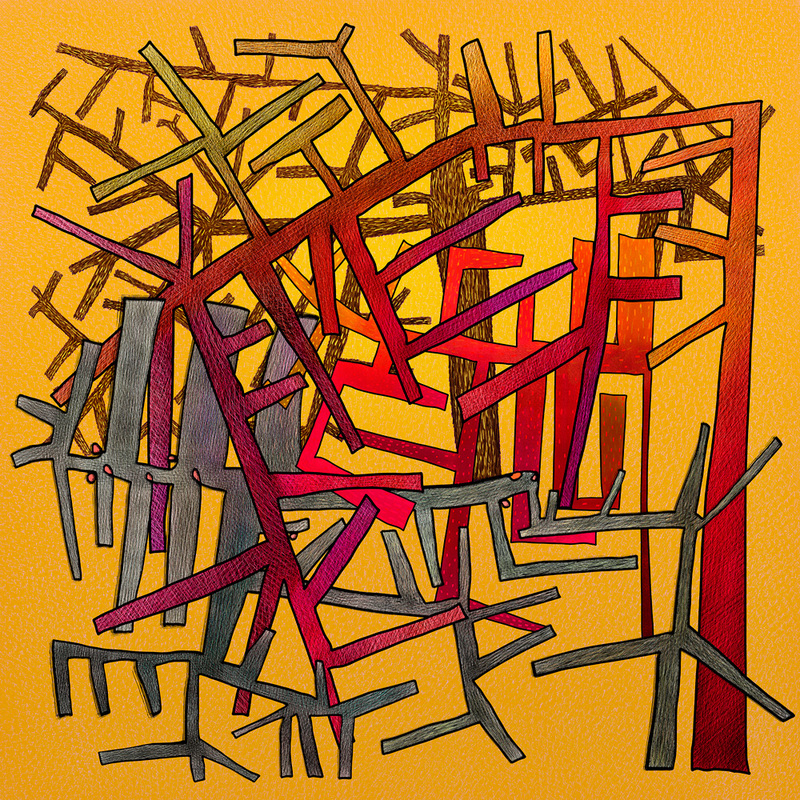 Andrew Clarridge’s “Geometric Bouquet” is a visual exemplar in acrylic and wood burning for what a closed eco-system might look like, as it grows out to interconnect—complete in its interior/exterior duality, its boundaries and outliers. 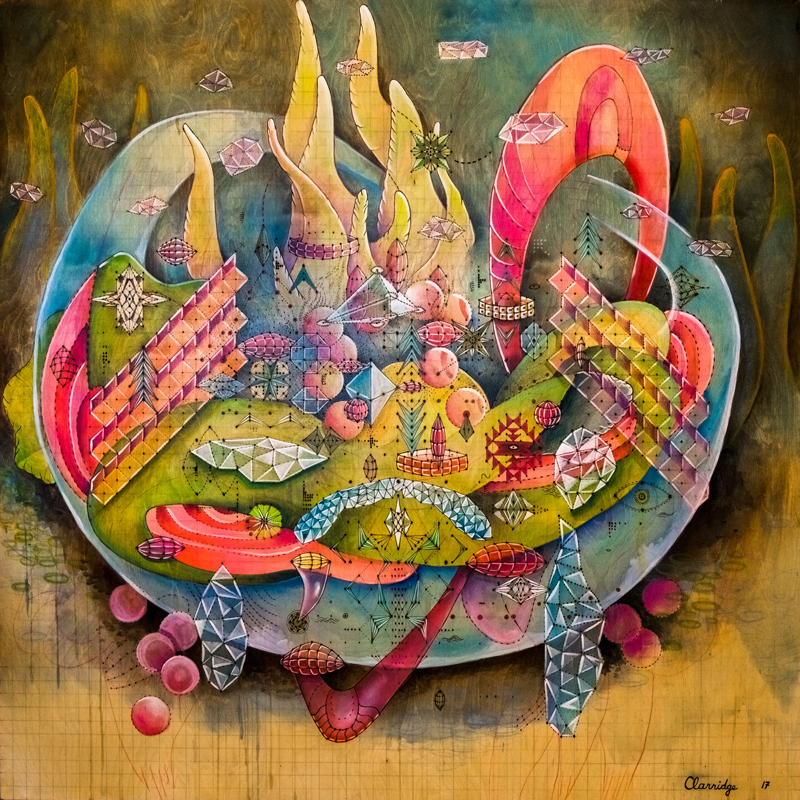 This Atlantean work is of aqua blues and algae greens, pinks and reds that create coral-like and -colored objects. Clarridge uses a grid to build geodesic structures, exposing the use of dots and lines in their inextricable relationship to structuring a/the world. Before it closes on Oct 7th, stop in to explore this phenomenal world of Strohbeen and Luchsinger, Clarridge, Moberg, and Vigon.